The artist enjoyed the night with her mother, younger brothers Rajad and Rorrey and some more members of the family and had a dinner at the popular Italian eatery. Rihanna’s boyfriend Drake was nowhere to be seen. However, there were reports that their romance has been revived. It’s in the news that the pop star and rapper have been dating secretly for months. They were seen performing together on stage at Rihanna’s concert at The Forum in Los Angeles on Wednesday night. After it, they headed up for the RiRi’s after party at The Nice Guy in West Hollywood. The pop star Rihanna performed with the Canadian rapper on stage and performed some sensuous dance steps for their hit ‘Work’. At The Nice Guy, the couple danced affectionately as per the sources. Drake’s new album ‘Views’ has sold 1.2 million copies and streamed more than 250 million times in the first six days of its release. Last month, he hinted a strong connection with Rihanna. 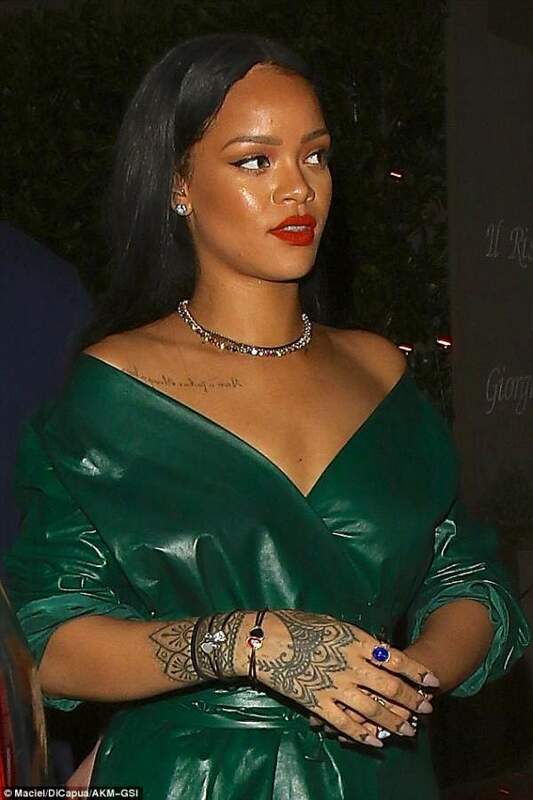 The Los Angeles’s show of Rihanna was to support her new album. It successfully drew a celebrity crowd and proved to an extravaganza on Wednesday. Also, she will be seen on stage on Monday night.